The medical professionals are a lot more comfortable calling it "depression" than calling it "loneliness." 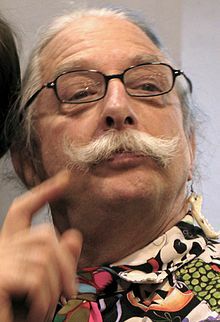 Hunter Campbell "Patch" Adams (born 28 May 1945) is a medical doctor, social activist, citizen diplomat, professional clown, performer, and author. He founded the Gesundheit! Institute in 1972. I'll give you an example — in Russia most of the hospitals don't have any pain medicine, they don't have any money. So if you're with kids with cancer, they can have metastases to the bone; which some say is the worst pain a human can experience. So a mother can be in a room with a child who hasn't stopped screaming in five months. ...85% of the time I walk in there as a clown they'll stop screaming. You know, it's always the same. I've clowned in 81 countries. People hunger for love, and clowning is a trick to get love close. As a clown I can do things that people are too frightened of Love to allow you to do. Any can do it — BE RADIANT! Make the decision. I want to be an agent of change to a loving world — so I will be radiant. I think that the loss of the house call has been the biggest blow to the art of medicine in this century. Not only has the patient lost this precious attention, but the physician has not found a replacement for the lost intimacy. Take a close look at the part that "love" plays in your life. Make an inventory of love: people, things, ideas, experiences. Try to live your gratitude. Imagination is an infinite resource that cannot be diminished by overuse or underuse. I have often found that mental patients who are given love, creativity, and community find the peace that they are reaching out for. Welcome to my library! Ever since my high school days, books and magazines have been to my mind what friends are in the flesh. Each and every one of these books and articles-- a fraction of the 12,000 volumes that I share my house with-- has contributed to expanding my dream. This page was last edited on 22 June 2018, at 21:30.